General: 62 m² total floor area, central heating, linen provided, safe, towels provided. Bedroom: 1 double - 1 room with 2 beds - 1 cot. Bathroom: 1 bathroom with bath tub or shower - 1 WC separate. Living / family room: sofa bed, comfy seating for 8 people. Dining: child's highchair, dining area, seating for 6 people. Kitchen: 4 ring stove, dishwasher, freezer, fridge, kitchenette, microwave, toaster, oven. Entertainment: CD - player, radio, satellite TV, stereo system. Our newly built house is located in the center of the village, gets lots of sunshine and has a lovely view of the surrounding mountains. Both of the comfortably furnished apartments (62 m2) consist of 2 separate bedrooms, a large living room with double sofa bed, well equipped kitchen, bathroom and extra toilet. Satellite TV, balcony and terrace are all available. There is a restaurant in the house. Special interest holidays: Cycling, fishing, horse riding, mountain biking, mountaineering, paragliding, roller blading, swimming, tennis, walking, climbing, rafting, paragliding, bungee jumping, canyoning, kiting, ice safaris, glacier tours, ski, snowboarding, ski school. In Pitztal there are approximately 380 kilometres of paths covering all degrees of difficulty, 27 mountain huts and hide ways. Included in summer: Kids Club for children from 3 till 6, and 7 till 14with a mega-cool program packed with games, sports and fun. Pitztaler Holiday Pass: With the Pitztaler Holiday Pass you can take leisure passport up the following free achievements: Use move and bath bus, post office bus lines and Pitztal - journeys valley far. Participation in the led migrations, Mountainbike and Nordicwalking tours club of the Alpine center Pitztal (as per week program of the tourism federation Pitztal).Play and fun in Tirols most exciting children club. All the same whether offers Minis (3 to 6 years) or Maxis (7 to 12 years), for all the children club adventure and the possibility new in nature to investigate. For you over 380 km marked moving ways in the valley and at the mountain in all difficulty stages are available. Wash basin with Alibertschrank, hair dryer, soap, Kosmetikspiegel and other mechanisms to the file of personal things. The bath tub is equipped with a Glasschiebetüre for unhindered showering. Prices for 4 persons. Additional person in the winter + 11.00 EUR, in the summer + 8.00 EUR. Price for two persons or special offers upon request. Surcharges: Final cleaning 35.00 EUR. Half-board adult 22,50 EUR, children until 4 years freely, until 12 years € 12.50. As our restaurant opens in winter at 4 pm we cannot offer breakfast. For a 3 to 4 usual evening menu You pay: € 12,50 for adults, children from 4 to 12 pay € 9,-. Included: Kids Club for children from 3 till 6, and 7 till 14 with a mega-cool program packed with games, sports and fun. Jerzens is a typical Tyrolian mountain village with many original customs. 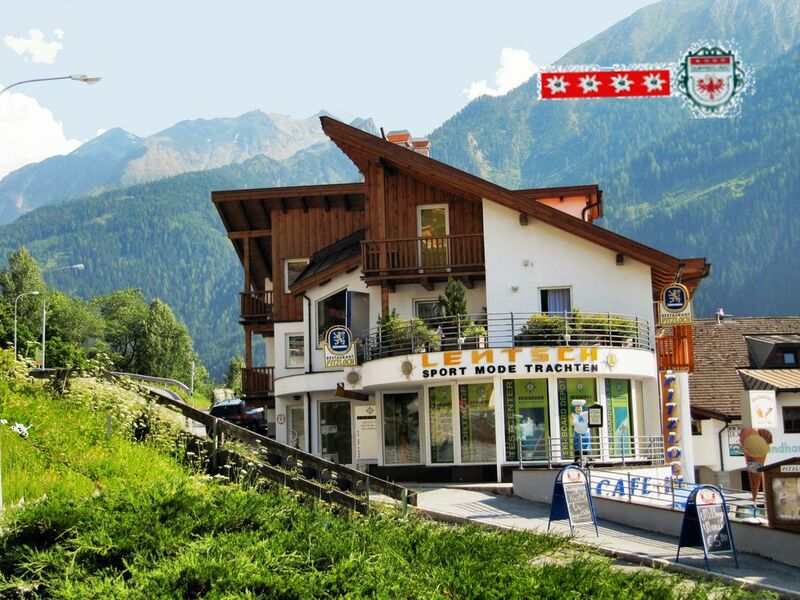 It is situated on a wind sheltered sunny terrace at the foot of the Hochzeiger and has plenty to offer in the way of sports. Golf: The nearest golf course is 25 minutes by car (Mieminger Plateau). Ski: The family friendly ski region of Hochzeiger (1,450 m - 2,450 m) has the most modern 8 man gondola in Tyrol and ideal snow conditions. More lifts with 45 km of slopes of all levels, a half-pipe and jumps for snow boarders. Cross country trails, floodlit toboggan run (6 km long). Ice climbing, curling, skating, snowshoeing, indoor tennis. Good possibilities in early winter to train on the Pitztaler glacier (25 minute drive). Family discounts for the Hochzeiger railway, children under 10 in accompaniment of an adult receive a free pass. Ski bus included. Alpine Ski from beginner to advanced classes. Kindergarten aged 2 and over. Bambini course 3 to 4 year olds. Children's ski school children aged 5 and over (beginners & advanced).